A prominent voice from the campaign trail, Molly Ball appears regularly as an analyst on NBC’s “Meet the Press,” CBS’s “Face the Nation,” PBS’s “Washington Week,” CNN, MSNBC, Fox News and NPR. She is the recipient of the Toner Prize for Excellence in Political Reporting, the Sandy Hume Memorial Award for Excellence in Political Journalism and the Lee Walczak Award for Political Analysis for her coverage of political campaigns. The lecture addresses the upheaval of the U.S. political establishment and examine whether this is a fleeting or enduring phenomenon. Ball previously was a staff reporter for Politico, the Las Vegas Review-Journal, the Las Vegas Sun and The Cambodia Daily. She began her journalism career working for newspapers in Ohio and Pennsylvania, as well as The New York Times and The Washington Post. She earned a B.A. in English Language and Literature from Yale University. As a Knight-Wallace Fellow at Michigan, 2009-2010, she studied economic policy, government spending and taxation in Nevada and the effects of rapid population growth. 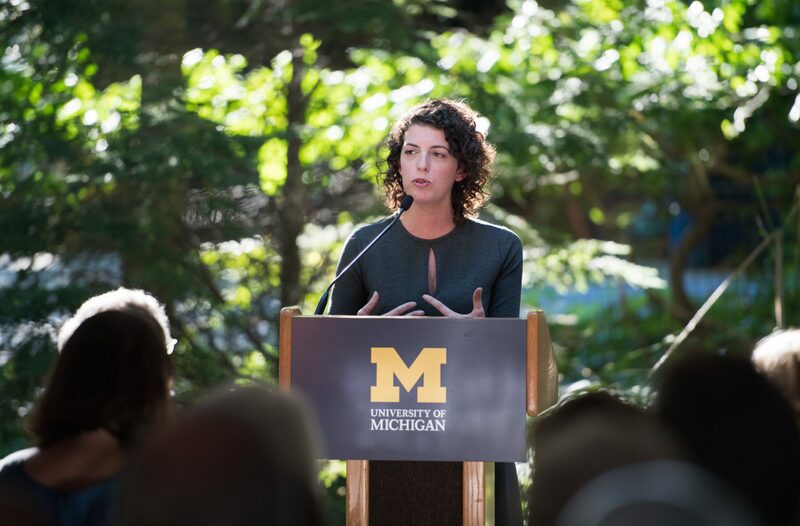 The annual lecture honors Knight-Wallace alumni whose subsequent careers exemplify the benefits of sabbatical studies at U-M. It is named for the late Graham Hovey, director of the fellowship program from 1980-1986 and a distinguished journalist for The New York Times.